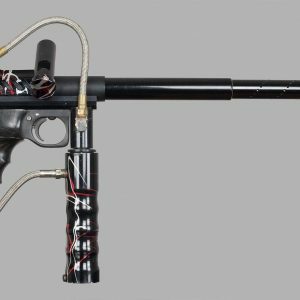 Left side of Dave “Youngblood” DeHaan’s 1994 Ironmen Autococker. Right side of Dave “Youngblood” DeHaan’s 1994 Ironmen Autococker. 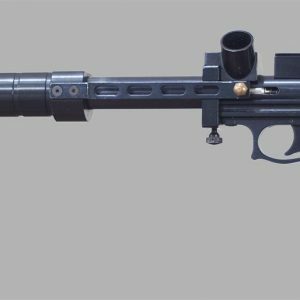 During this time Youngblood was shooting a Sniper 3 pump with an L stock and soon after moved to an different Carter Machine Autococker. 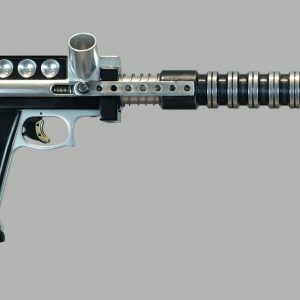 There are no photos of Youngblood playing with this 1994 Ironmen Autococker. 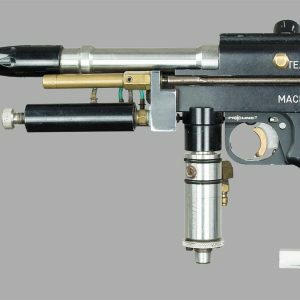 Eventually this Autococker was left at Carter Machine where it was cut up. The side were milled, mostly eliminating the “Youngblood” and “Bud Orr Ironmen” engraving. Once reassembled it was either was sold. 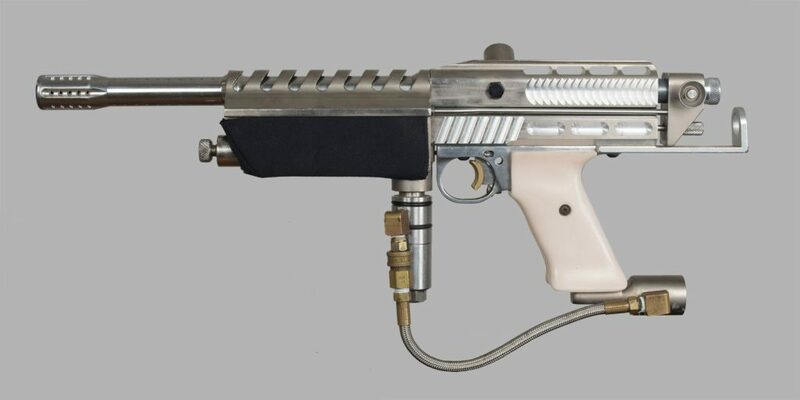 So although this is an Autococker engraved for and given to Youngblood, this was note a paintgun Youngblood used. Later the second owner, who purchased it from Carter Machine, sold it to Paul Schreck and Paul traded it to me. I restored it to how I believe it would have been played with in the 1990s with Jimbo/Full Blown grips, an Air America Unireg, and the matched Nickel plated bottomline, which I found in a bin at Earon Carter’s shop in 2012. And find history on this 1994 Ironmen Autococker here. Prints of this 1994 Youngblood Ironmen Autococker are available in the following dimensions on Epson Premium Luster Paper.